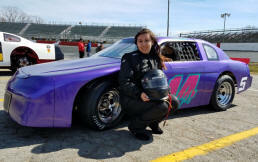 Camryn will be a Rookie driver for the Allison Legacy Series for 2019. 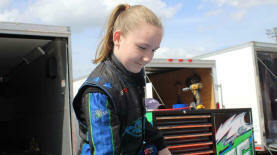 She started racing at the age of 8 in the Inex Bandolero Series. In the off season Camryn enjoys playing Volleyball for Bunn Middle School and being a leader in her Church Youth Group. 15 Kyle Campbell DOB: 8-20-2003 Began racing in go karts at age 6, 2013 wonJr 2 Champion at Coleridge speedway, 2015 won 3 Championships in Jr 3, 1 at Coleridge Speedway and 2 at Mildbridge Speedway in the Mini Outlaw Series, 2016-was the Jr 3 Champion at Woodleaf Speedway and the Hard Charger of the Year in the ALRS. 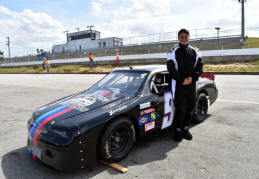 He has raced in over 150 dirt races and 2 years in the ALRS. Looking for a win. Thanks to Dad and sister Allison and Mom!